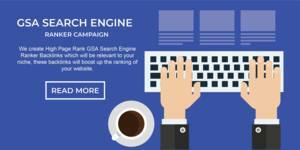 GSA Search Engine Ranker Campaigns will help your site to rank higher in Google within the shortest possible time. I assume that you provide the links you generate with it, am I right? Yes, you will get high quality links. I see I'm shown little posts in the forum but I've been a member since around 2000 but for some reason I couldn't recover my login info. You should contact the support to get back your login access. What sites will you backlink on? For example I have a French teaching language business. I would not want backlinks on for example a perfume site, which has no relevance to what I am selling. Can anyone confirm they have relevant backlinks with this service? We don't create backlinks on some fixed list of sites, rather we scrape sites based on the keywords and niche of the client's website, then we create backlinks there so that they come from as much niche relevant sites as possible. You can place order with full confidence. Hi! Is this recommended for a new blog? To start strong in SEO? If not, what services from you do you recommend? Please pm me your blog link, I have to check before I make any comment. last few days ago i heard about GSA Search Engine Ranker,. I am using its trail last 3 days. Please guide me about GSA, Is its best for SEO, Shell my posts will rank in google 1st page? and about its settings etc. Still work for 2019? Do you have latest review for this service. Yes, its still effective. You can place order to test the service. Thanks... I'm waiting my link to index first then I'll try your service.